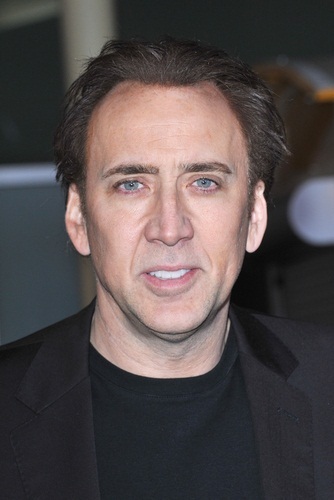 Nicolas Cage is an American actor and producer. He won the Academy Award for Best Actor for Leaving Las Vegas (1995). He is the son of Joy (Vogelsang), a choreographer and dancer, and August Coppola (August Floyd Coppola), an academic and author. He is a nephew of film director Francis Ford Coppola and actress Talia Shire. His siblings are radio personality Marc “The Cope” Coppola and director Christopher Coppola. His cousins are director Sofia Coppola and actors Jason Schwartzman and Robert Schwartzman. Nicolas’s father was of Italian descent. Nicolas’s maternal grandfather was of approximately three quarters German, and one quarter British Isles [English, Scottish], ancestry. Nicolas’s maternal grandmother was of Polish descent. Nicolas has a son, musician Weston Cage, with his former partner, actress Christina Fulton; and a son with his former wife, Alice Kim, who is of Korean descent. Nicolas’s paternal grandfather was Carmine Coppola (the son of Agostino/August Nicola Coppola and Maria Lillian Zasa). Carmine was a composer, born in Manhattan, New York, to parents from Bernalda, Province of Matera, Basilicata, Italy. Agostino was the son of Carmine Coppola and Filomena Coppola. Maria Lillian was the daughter of Pancrazio Zasa and Antonia Montesano. The Coppola family owns a luxury resort in Bernalda. Nicolas’s paternal grandmother was Italia Pennino (the daughter of Francesco “Frank” Pennino and Anna Giaquinto). Italia was born in Brooklyn, New York, to Italian parents. Francesco was a composer, who was born, c. 1880, in Naples, Campania. Nicolas’s maternal grandfather was Robert Albert Vogelsang (the son of William Gerald Vogelsang/Vogelgesang and Magdaline Lena Muentnich). Robert was born in Illinois. William was born in Illinois, the son of Jacob George Vogelgesang and Nancy Caldwell Lewis. Nicolas’s great-great-grandfather Jacob was the son of John Jacob Vogelgesang, an immigrant from Eichelscheiderhof, Waldmohr, Germany, and of Catherine Stenger, who was born in Louden, Maryland, of German descent. Nicolas’s great-great-grandmother Nancy was the daughter of Thomas Lewis and Mary Caldwell, and had English and Scottish ancestry. Nicolas’s Vogelgesang line can be traced back to Leonard Vogler, who was born, c. the early 1500s, in Neunburg, Bavaria. Nicolas’s great-grandmother Magdaline Muentnich was born in Illinois, the son of German immigrants Jacob Muentnich and Gertrude Daum. Nicolas’s maternal grandmother was Louise Adrianne Siputa (the daughter of Andrew Thomas Siputa and Anna Kaxzmarek/Kaczmarek). Louise was born in Illinois, to Polish parents. Andrew was the son of Stanley Siputa and Maria Dulat. He probably got the blue eyes from his german polish and untied kingdom ancestry. You goof. Someone can’t have blue eyes unless each parent has at least one blue eye allele. It is impossible to inherit a light eye color from just one parent.